This is probably one of the most popular questions when it comes to link building. Unfortunately, it is also not easy to answer. I think we have mentioned in previous posts that link building is not something that is going to have an immediate effect on your search engine rankings. It is the tortoise in the race. All of these factors can influence how quickly a link can be attributed to an increase in your page position. For starters, you should not see just link building as the panacea to your website climbing up the rankings. Link building should be a constant stream of activity working with other activities such as content creation and promotion and social promotion. A realistic expectation is that if you are doing all of these things then you should see an increase in traffic. So in this post, we are going to examine some key factors that can affect the time frame of the success of a link building campaign. If you have read any of the other posts in this beginners series, I have mentioned domain authority (DA) before. So the higher the domain authority of a website the higher it will appear in the rankings. The domain authority measures the authority of a complete website, you also have page authority which is the authority of a given page on the site. Firstly, the higher DA sites are crawled more often by Google. Secondly, that high DA could transfer to your own site as Google will take that link as a sign that your site is just as trustworthy. You need to note that DA is not static. A low DA site can improve its reputation as it adds more content and links within a few months. Once again in previous posts, we have talked about the types of links you can create. Quality backlinks can help your site climb the rankings, however, bad links can also cause your site harm and can lead to penalties by Google. that they frown upon and can go towards hurting your overall ranking. It is worth reading this to ensure any link building you are doing does not infringe any of these rules. You might feel as a newcomer with a new website you won’t stand a chance against the established players in your niche. Don’t forget those players had to start somewhere too. While it will not happen overnight you can build your reputation by piggybacking on the highly trusted sites in your niche/industry. These are a couple of metrics introduced by Majestic, another big player in the SEO world. Trust Flow predicts the quality of a website on a 0 – 100 scale. Websites that have high TF scores usually have numerous links from high-quality websites, while those with low TF scores might have backlinks from more spurious sources. To improve your TF for your site ensure you only get links from authority sites that has content relevant to yours. Citation Flow is a number of predicting how influential a site might be based on how many other sites link to it. So when looking for sites to piggyback on you might want to consider these metrics also. When thinking about link building you also need to keep a watchful eye on keywords and their relative strengths. In general, the search volume of a keyword will give you an indication of how many backlinks and time and effort you will need to put in to secure a top ten slot. Ahrefs has a great tool for analyzing keywords and will also give you an indication of how many backlinks you will need to rank for that word or phrase. Let’s have a look at the term ‘link building’. The term ‘link building’ is quite a difficult term to rank in the top ten Google search results. According to ahrefs I will need links from 374 websites to appear in the top ten results. I obviously have some work to do!! It goes without saying that the quicker you build backlinks to your site the faster you will begin to see results. One of the ways to make that happen is to create a piece of ‘viral content’ i.e. a piece of content that is shared by many people. However, creating viral content is not easy and there is an art/science to creating content that takes off virally. Unless you get links through a viral approach you should aim for a slow but steady pace when building initial backlinks. Don’t forget also to concentrate on natural backlinks from high authority sites don’t be tempted by ‘get quick link’schemes. I have talked about this before, but it is worth reiterating here. It is much better to get 5 solid backlinks from super relevant sites than 20 from off niche blogs. The other impact of relevant links is that it will help build your site’s authority. If you are consistent Google will start to take notice and start to prioritize your content over others. We will cover anchor text is a post of its own but it is worth inclusion here. As we will see anchor text used to hold much more store than it does today in the eyes of Google. However, that is not to say it isn’t important. Anchor text is still seen as the language that tells the search engines what the page is about and what keyword you are trying to rank for. Other SEO specialists have published percentages of what types of anchor text you want in your backlink profile. As a general rule, you only want 1-2 percent of exact match anchor text links. However, the key here is to ensure that those links are from high quality, high authority sites. How long does it take for link building to have an effect? I have tried to give you an insight into the types of activity and factors that will play an active part in the speed of effectiveness of link building. 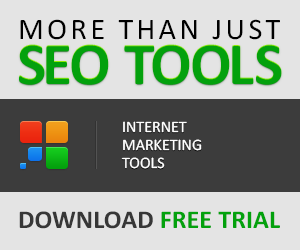 The one big takeaway is that it is not a quick and easy solution to skyrocket your rankings. It will take time and effort and you have to be realistic about when it’s effectiveness comes into play. Maybe one way to assess is to follow my blog and website updates on this site. I will be publishing monthly the activity I have undertaking and what the results have been. 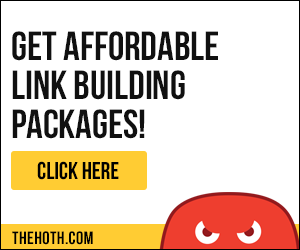 However, if you are looking for a sustainable increase in traffic and looking to build a solid business or blog, then link building is definitely worth the wait.